To say that Rajbir Nanra became CEO of general insurance at a challenging time for Zurich is certainly an understatement. Less than two months after his appointment (in September 2015), the global Zurich Insurance Group announced a thirdquarter drop in profit of 79%, with net income totalling US$207m, starkly contrasting with the US$966m figure recorded a year earlier. It was a decline largely attributed to problems within Zurich’s global general insurance business. Since then, Nanra has been firmly focused on executing a fresh strategy. 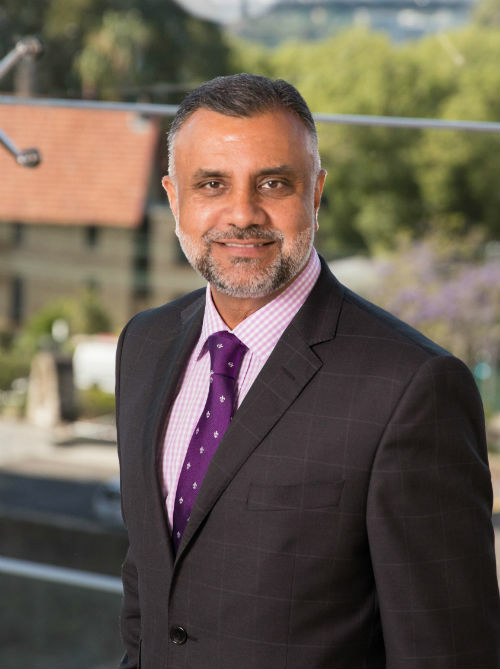 As well as leading a restructure of the local general insurance operations, that strategy has seen the appointment of new executive leaders, as well as the $741m acquisition of travel insurance provider Cover-More. Nanra reflects on the last two years – the good times and the bad. “It was at a time when the market was softening quicker than we expected, and to take a bold stance to remove ourselves from quite a large amount of business, I think, was very challenging to try to communicate to the market and explain why we were doing it." But there have also been some strong gains for the business, Nanra says.But there have also been some strong gains for the business, Nanra says. Nanra also discusses the benefit of strategy. Nanra is proud of what Zurich has offered the market in recent times in terms of flood coverage. Work done on the claims front is another source of pride for Nanra. Nanra believes claims are often a forgotten component of the insurance process. “It’s the last thing we do, in terms of the whole value chain, when we talk about the customer, and that’s really what we’re here for – to pay claims,” he says. Last June, Zurich launched Z Track, its new claims tracking and reporting tool. “The biggest thing around claims is transparency; whether it’s commercial business, retail [or] corporate, people always want to know where we are up to in our claims. If [they] don’t hear back within 24 hours, customers get very anxious,” Nanra says. “Z Track allows the broker and the customer to actually see where their claim is up to, [including] the file notes surrounding those claims, and so it provides them with full transparency around … the process. Last May, in a conversation with Reuters, Zurich’s global chairman, Tom de Swaan, said the business had begun utilising artificial intelligence in its handling of personal injury claims. De Swaan said Zurich’s deployment of AI had, so far, saved 40,000 work hours and sped up claim processing time to five seconds, and that the group planned to expand its use of AI. “The group actually signed an agreement with a company called Expert System for cognitive computing solutions,” Nanra says. “For me, that’s been a fantastic achievement to actually demonstrate Zurich’s commitment to move into the next century around ease of process. When discussion focuses on Zurich’s relationship with intermediaries, Nanra stresses that the company’s commitment to brokers is core to its business. “We’ve reiterated that over the last number of years,” he says. Nanra says Zurich is looking to strengthen its commitment to brokers through the introduction of a number of programs, including one specific initiative that takes the place of its recently retired Zenith program. “We’ve launched a program called 1872, and that’s really designed to ensure our commitment to our broker partners but also to make sure that we understood which of the brokers had the business that we saw was Zurich’s strength,” he says. “As part of our transformation, we were very clear around our commitment to our broker partners but also to make sure that we understood which of the brokers had the business that we saw was Zurich’s strength,” he says. “As part of our transformation, we were very clear around our appetite, and by going to market and saying that we’re only going to play in certain areas and these are the strengths we saw in the market, we’ve used 1872 to really focus that go-to-market proposition so that brokers are very clear when we come to them; they know our appetite." In November, Zurich launched its NextGen Leadership Academy, seeking to nurture the next generation of leaders among the insurer’s key broker partners. Participants undertake learning models and presentations on a range of subjects – including risk strategy, claims, building effective teams, and business decision-making – and the highlight of the program is an international experience. Last year, Zurich took the industry by surprise when it entered the travel insurance space by acquiring Cover-More. “It made the group one of the leading travel insurers globally,” Nanra says. 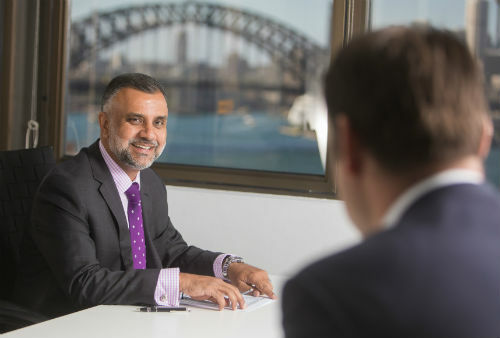 “It also provided Zurich an opportunity in Australia to look at a separate revenue stream, and it complements what we do in terms of our customer-centricity, but it’s unique enough that it doesn’t disrupt our commitment to our brokers … The feedback we got from a number of brokers was, ‘It’s good to see Zurich expanding’. But our commitment to them was never going to be any less than it was never going to be any less than it was before Cover-More. When it comes to the insurer’s Australian focus over the next year, Nanra mentions growth. Nanra adds that his team is keen to undertake considerable further work around the customer. “We work very closely with our brokers now about understanding the customers’ needs. Too often we don’t listen to what the customer needs are and we try to tell them what we think they need,” he says. Nanra is excited about times to come. “I’m looking forward to 2018. We are seeing the market start to harden, and I think Zurich is well set up to take advantage of the market as it starts to stabalise."